Any impact of GST on special economic zone? Authorised operations in connection with SEZs shall be exempted from payment of IGST. Hence, there is no change in operation of the SEZ scheme. Should I need to pay GST on purchase of Fresh chicory? 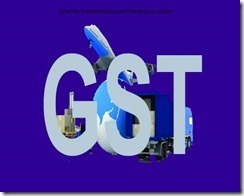 Any GST exemption on purchase of hay knives? Is GST payable on purchase of loganberries?